I have been trying really hard lately to learn how to cook a wide variety of dishes. I like to think that I am actually improving quite a bit, but I still use a lot of shortcuts to make recipes easier and quicker. I have been wanting to try making some dishes more from scratch. 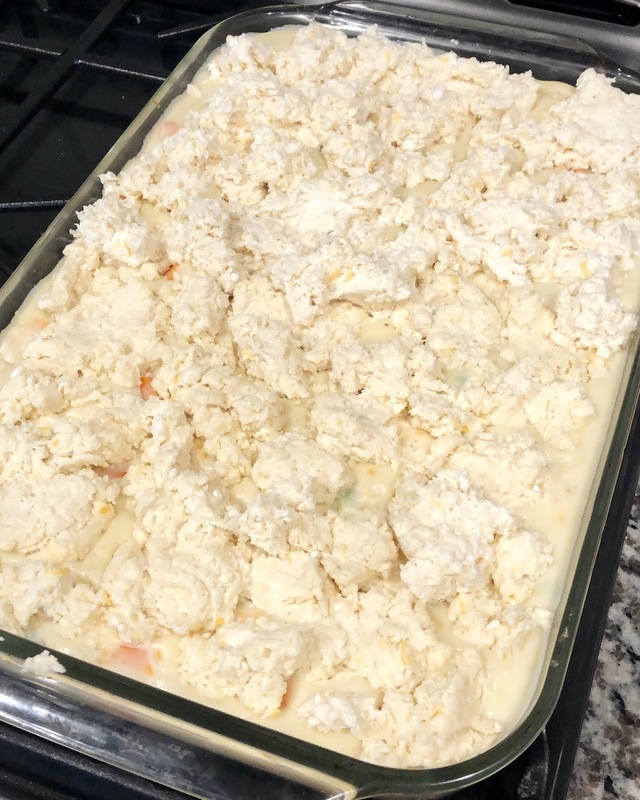 I had seen a tweet from Chrissy Teigen recently where she was making her Pot Pie Soup recipe but she then put it into a casserole dish and covered it with Red Lobster Cheddar Biscuit mix. You can see her tweets about it here and here. It looked absolutely incredible and I knew I needed to learn how to make it ASAP! 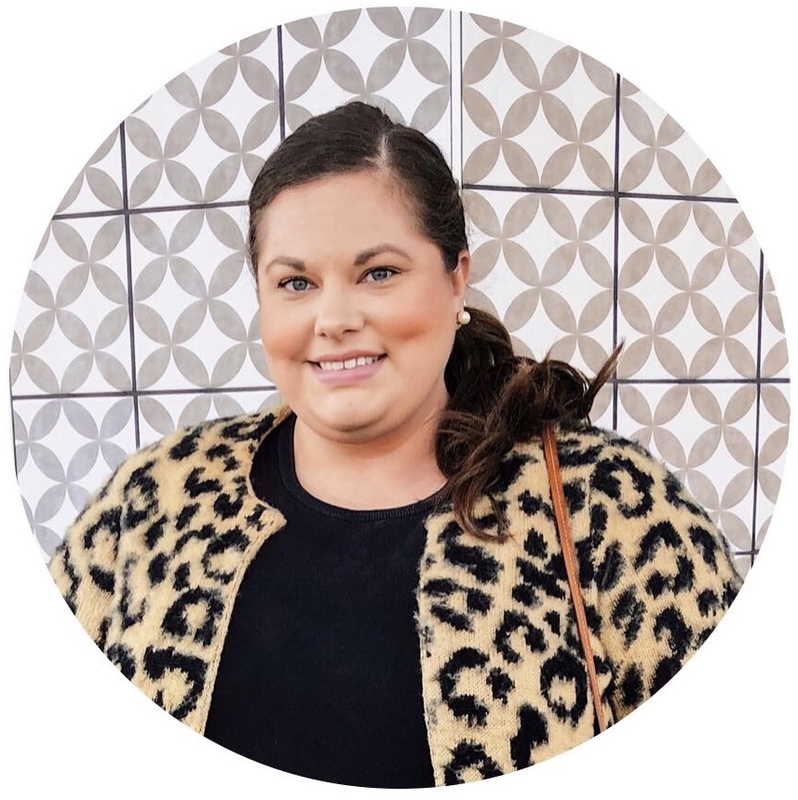 I found her recipe on PopSugar and she also has a video making it with Kelly Ripa here. 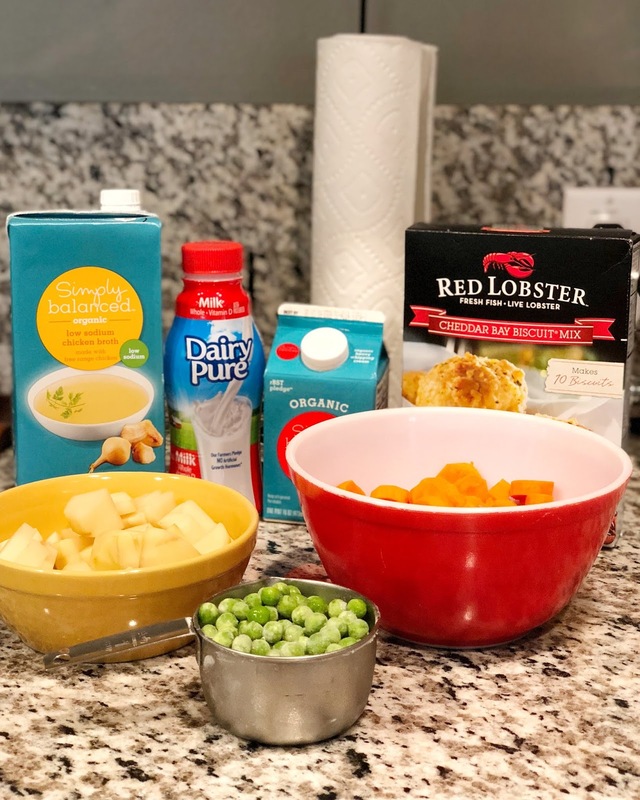 Once you make the soup, you put it into a large casserole dish and then mix up the Red Lobster Cheddar Biscuits. 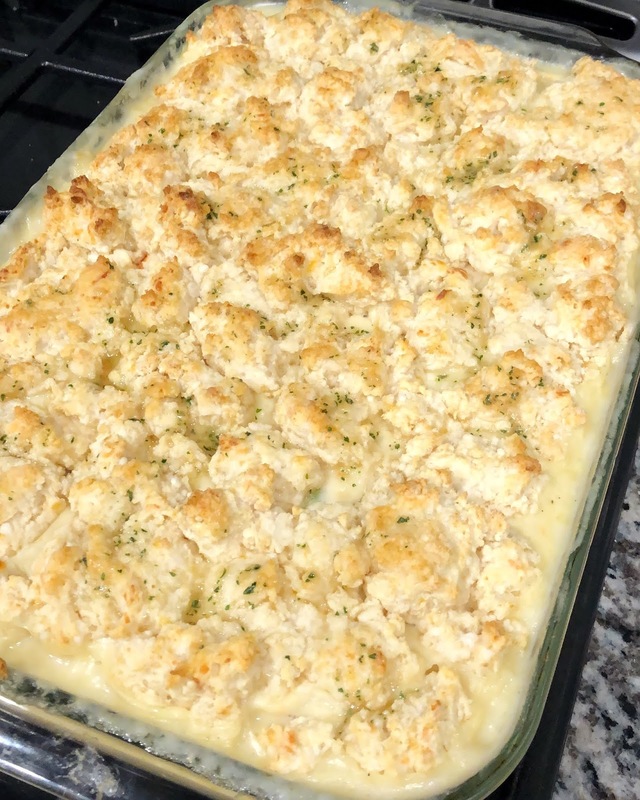 I needed 2 boxes of mix to cover the entire casserole with enough biscuits. 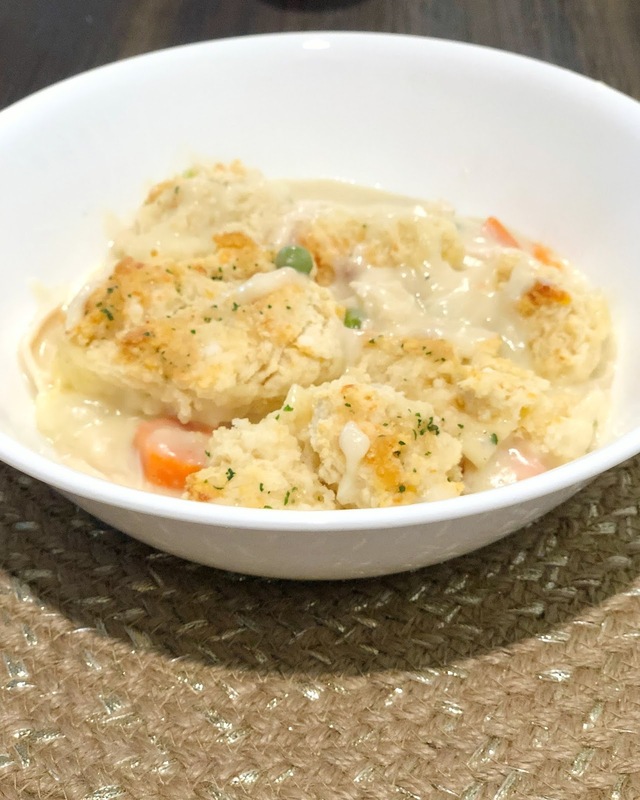 Once I had the entire soup mixture covered with biscuits, I put it into the oven at 450 degrees Fahrenheit for about 15 minutes. You can leave it in the over more/less depending on how done you want the biscuits. Once it was done baking, I covered the biscuits with the garlic butter mix it comes with. Let it cool for a few minutes and enjoy! I thought it was incredible and definitely some of the best chicken pot pie I have ever had. 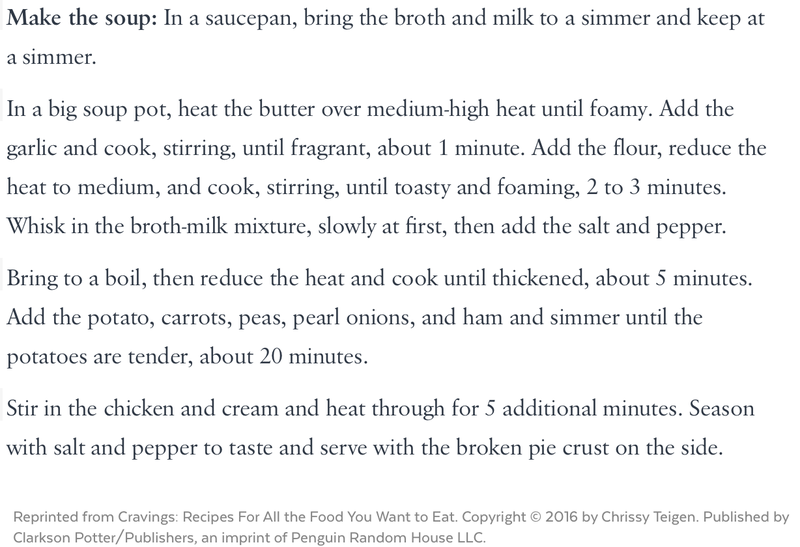 This would be a great recipe to make if you need to bring a dish to a party or potluck. If you have a smaller family, I would recommend cutting the recipe in half. 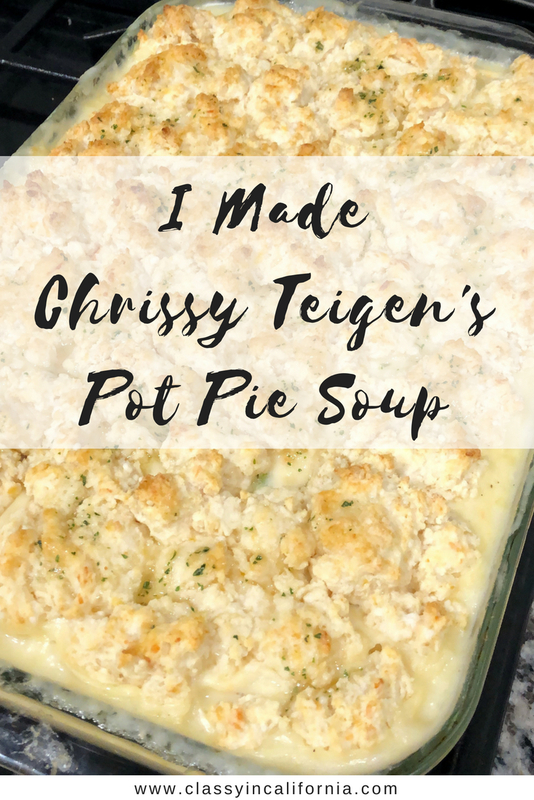 I ended up having to freeze half of the pot pie because it was a lot of food!